When you or someone you love is facing a life-limiting illness, it’s easy to suffer information overload, from learning about the disease to juggling doctor appointments. When it’s time for hospice or palliative care, it can be difficult to make a decision from the myriad of choices facing you. You may find that your doctor, friends and family members are giving you several suggestions, but ultimately, you will be the one who makes decisions about your hospice care. Hospice is not a place, nor is it only for the elderly. Hospice provides hope, comfort and care for those who are facing a life-limiting illness. Hospice care is appropriate for those with a life expectancy of six months or less. Through hospice, patients and their families experience a much higher quality of life and are able to spend more time together. If you have any questions, we’ll be glad to discuss them and take the mystery out of hospice care. One of the common myths surrounding hospice care is that all hospices offer similar levels of care. This isn’t true. There are several differences. Most hospices are Medicare certified, but how they provide end-of-life care can vary. In addition, there are also differences in the services, programs and levels of support provided. Therefore, we’ve outlined 7 qualities you should look for in a hospice and palliative care program. While hospices work closely with doctors, not all of them have full-time physicians on staff. 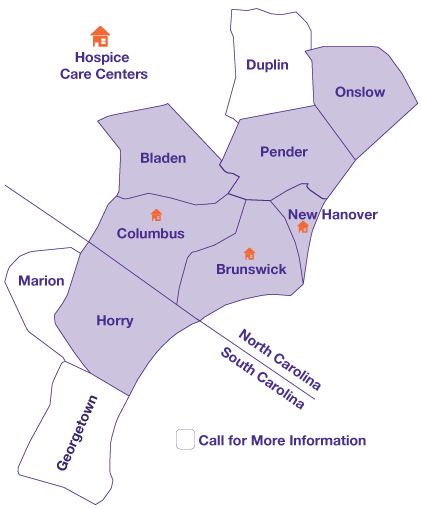 In fact, Lower Cape Fear Hospice is the only hospice in the area that does. Be sure to ask if the clinical staff members—including nurses and nursing aides—have specialized training and certification in hospice care. This designation represents a commitment to a higher level of care for you and your family. In addition to your physical needs, does the hospice have the resources to care for your spiritual needs as well? What about your loved ones? 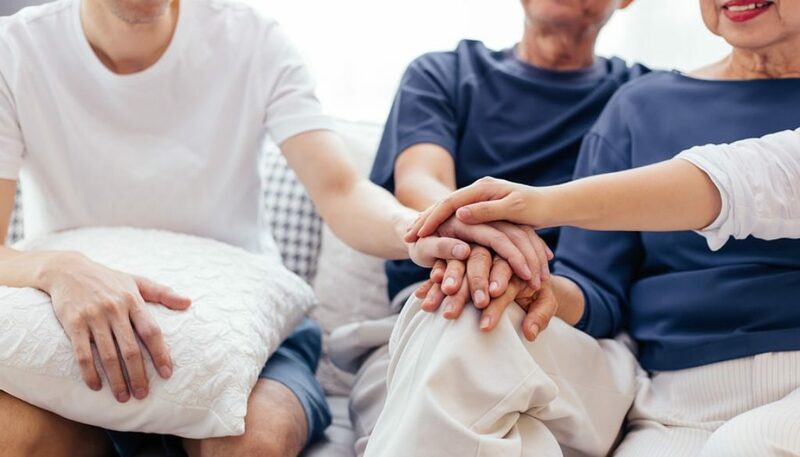 Lower Cape Fear Hospice not only offers spiritual and psychological support, but we also provide extensive opportunities for grief support for both adults and children. Families of hospice patients can receive grief counseling for up to 13 months after the loss of their loved one. Our patient satisfaction scores rank well above the national average. These scores are based upon feedback from family members. You can view the specifics of our scores on this site. A hospice should be able to serve you at your location, whether that’s a skilled nursing facility, your home or a hospital. In addition to offering this service, Lower Cape Fear Hospice also has inpatient hospice care centers throughout the area if symptoms cannot be effectively managed at home. In fact, more than 90 percent of our patents are served where they live. A quality hospice should be able to quickly respond to any critical situations. At Lower Cape Fear Hospice, we are available 24/7 to address any critical situation that may arise. Whether you call us at 2 p.m. to 2 am., our on-call nurse is ready to help you, even on holidays. One more picnic by the lake. One more walk on the beach with your family. One more afternoon playing with the grandchildren. Hospice care is all about these “one more” opportunities to continue to live life to the fullest extent possible. Did you know that patients who chose hospice care lived an average of one month longer than similar patients who did not choose hospice care? That means one more month spending time with those you love and—as much as possible—doing the things you love. That’s the philosophy behind Lower Cape Fear Hospice. Contact us for additional information or to find out the type of care that’s appropriate.